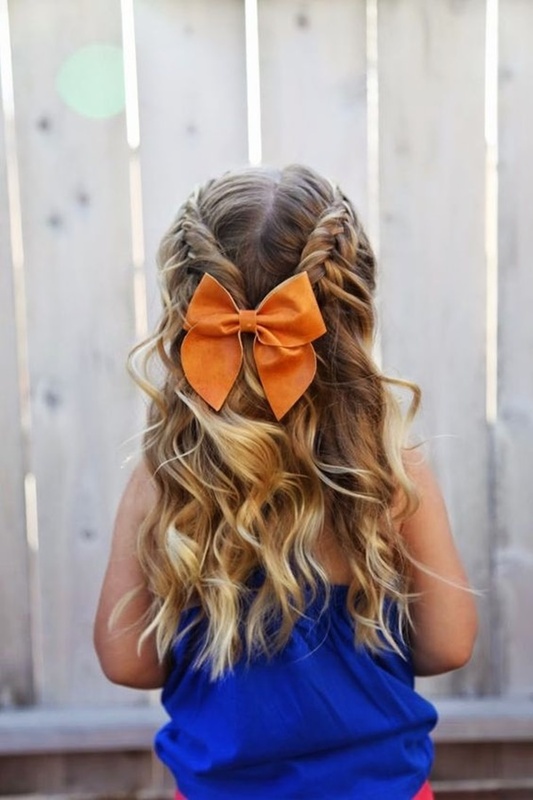 Style your daughter’s hair to her school! The most time-consuming activity is doing up your daughter’s hair for the day. In the morning time everyone is in a rush and sometimes it is expected for the father to take care of the child, let alone doing their hair. So for the super dads out there, these easy and simple hairstyles will be a lifesaver for you. Remember, you can’t do the same old boring hairstyles every day. Make sure your child looks glam as ever in her toddler days too. Braids are versatile and it requires very less of your effort. Some are so easy that they are done for a few minutes and some needs a little bit of patience and practice there are numbers of Hair Braids Ideas you can do it by Yourself. The beautiful hairstyles made by you will make your child gathering all the attention every day at kindergarten. 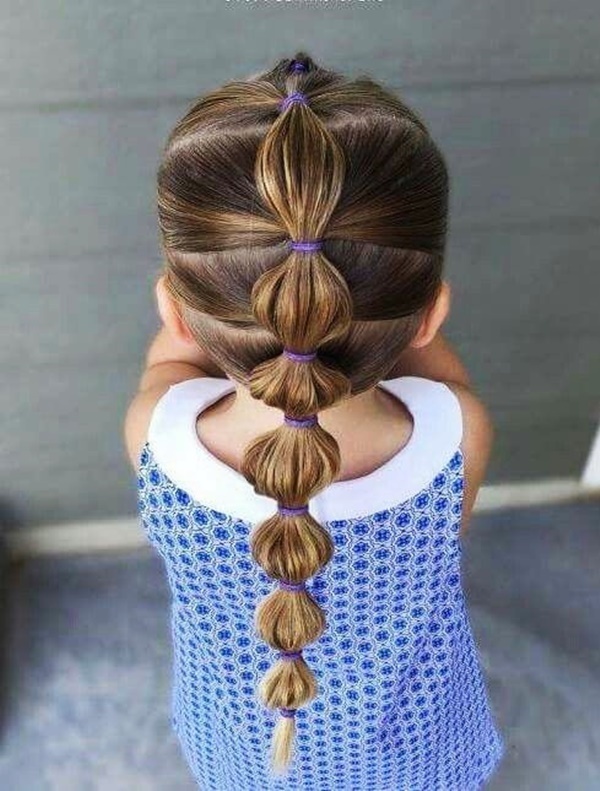 So, here are the Simple and Easy Girl Toddler Hairstyle that even dads can do. Comb your hair nicely. Then divide your daughter’s hair in two locks of hair from the front. Both of the locks into a braid carefully. Tie both the braids in a knot and put a rubber band below it to safely secure the braid. There you have you beautiful twisted braid! You can modify this Simple and Easy Girl Toddler Hairstyle by tying the hair below in a pony or in a braid. Part her hair to one side into a pony tail, then put the hair into a bun and fasten it with one or two rubber bands and there you have your neat side bun. This hairstyle will also keep the heat away and will keep her active throughout the day. 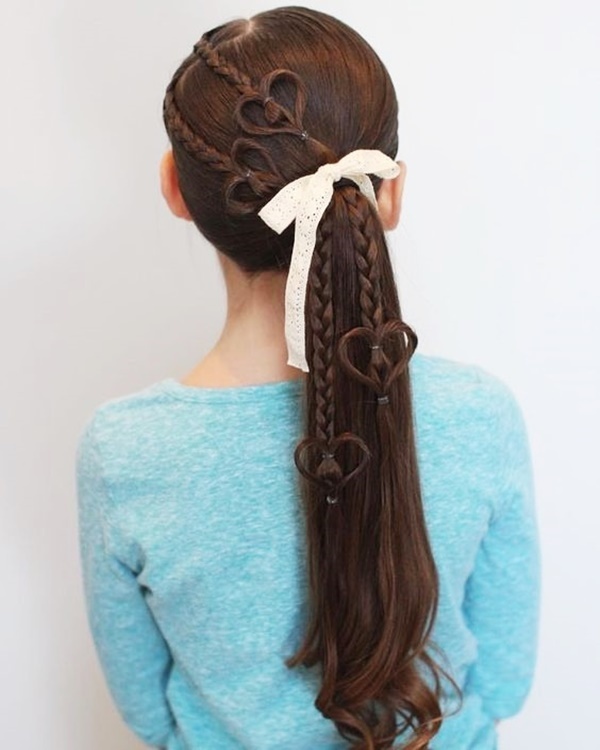 You can make this hairstyle for her when she is going for school or to a party. 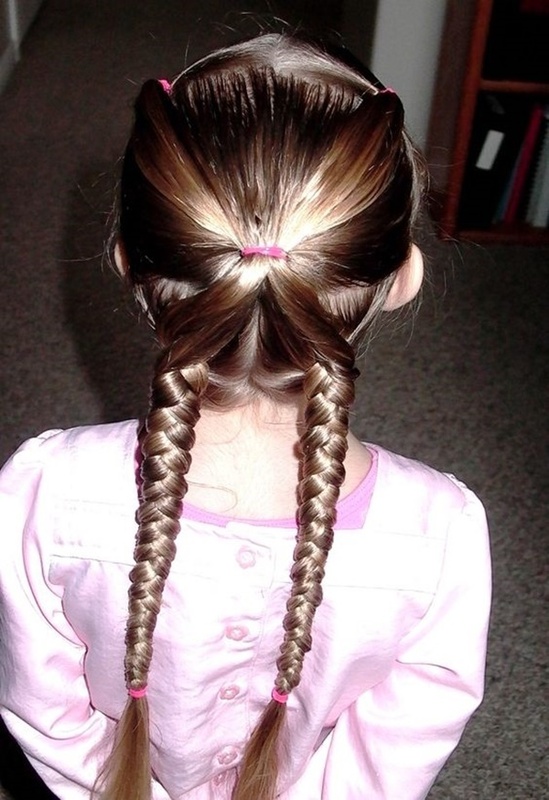 The French braid is one of the most Simple and Easy Girl Toddler Hairstyle to make and looks good too. Starting from the top take a few hair from the top section and start tying it into a braid then as you gradually move forward starting take hair strands from both sides and keep them tying with the braid you were making. Continue making the braid till the last section and tie with a rubber band. This hairstyle is a mix of two which is a braid and a pony tail. Perfect for the school look as it will keep the hair tied and make it look elegant. 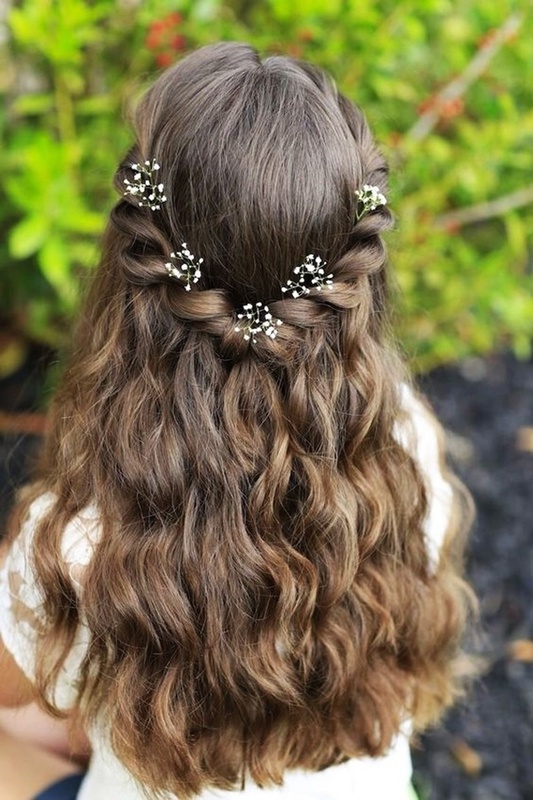 For this hairstyle, just like the French braid take a small section of hair from the top and start making a braid taking two or steps of taking hair strands from both sides into the braid. Then carefully pull the hair left and the braid into a pony tail and put a rubber band on it. Pony tail is one Simple and Easy Girl Toddler Hairstyle which you can make easily and it is ready in just seconds. You can even make your daughter learn to make one neatly so that she can do her hair. The simple pony can be styled in a way through fancy clips and rubber bands which are available at the market. our food habit is one of the most crucial aspects that determine the final output of our physical attributes. So what could use the best Foods That Are Good For Your Hair Strength so that we can flaunt it just like one of those from the T.V commercials? The two side braid is one the classic hairstyle which looks stunning on every outfit. Fit for every occasion and it is a hairstyle that will only take few minutes to make. From the front section divide your hair into two and make two braids taking those strands on each side. Tie the braids into a attractive knot and fasten it with a rubber band. Some days it is better just to keep the hair open without any hairstyle. Comb your daughter’s hair and with the fancy clip she loves a lot put just few strands of her hair from one side and put the clip over them. This hairstyle is a universal one, which looks elegant on every outfit and every occasion. This hairstyle is so easy that even your daughter can learn to make it herself. Just take the top section of her hair and put a rubber band. Through this half of her hair would be open and half in a pony. You can put a variation but making a bun after making a pony. This hairstyle is super chic. 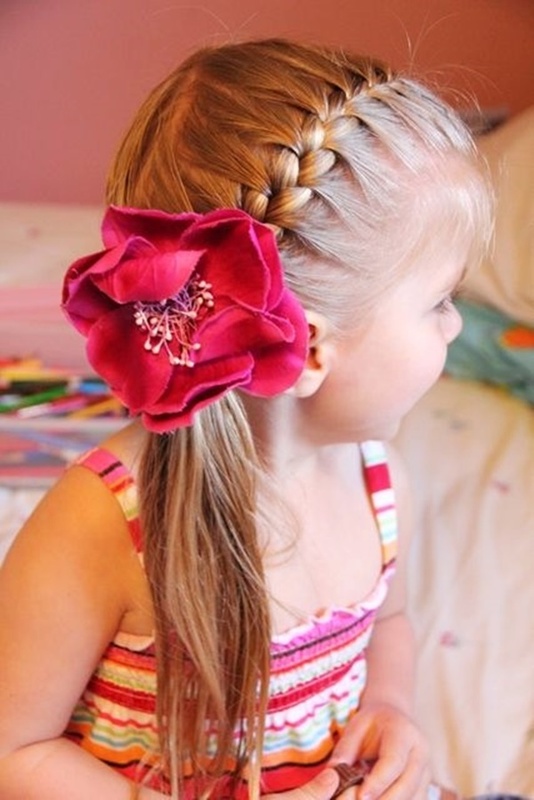 You can accessories this Simple and Easy Girl Toddler Hairstyle by putting fancy rubber bands and clips on her hair. To escape the scorching heat this hairstyle is a lifesaver. After combing her hair, pull all her hair and make a high pony. Then divide her hair in two parts and make it into a bow.If you start your own DIY play table making and present it to your lovely kid? You might have thought it often but never ventured due to lack of ideas. So here we present cool DIY play table ideas for you which will help you in your mission. You will need colorful rubber bands for this look. 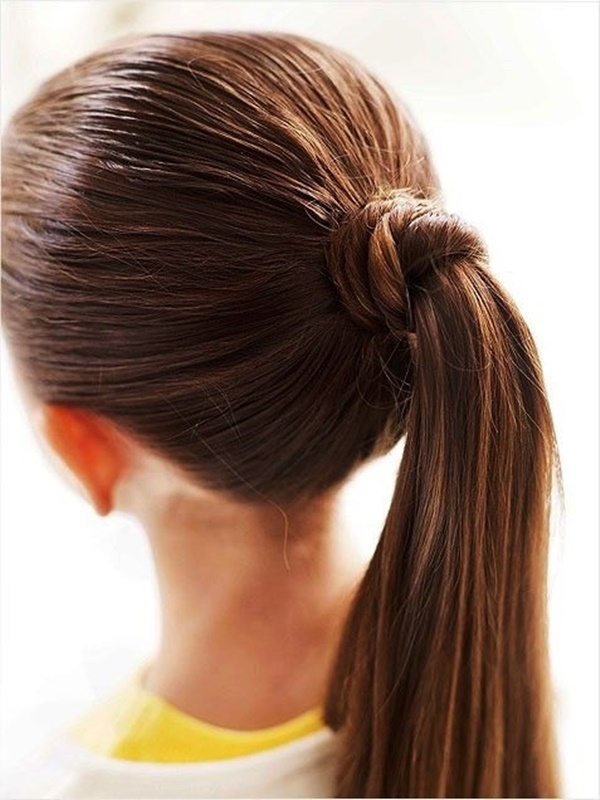 Tie her hair in a half pony, then take a few hair strands from both sides and tie a rubber band, then again take a few hair strands from both sides and make a pony. These were Simple and Easy Girl Toddler Hairstyle that even dads can do. Make sure you try them all and make you daughter learn them too!